"Athletes in India are supported and encouraged later in their lives- when it is too late to do anything about it." 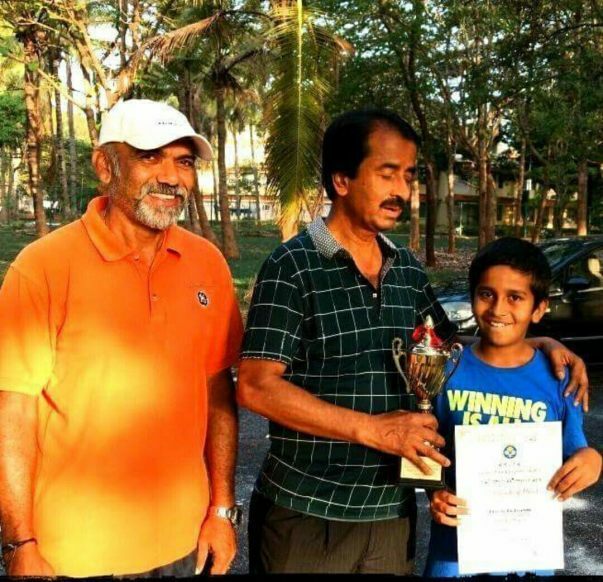 Ten year old Mustafaraja is already a Nationally ranked tennis player. 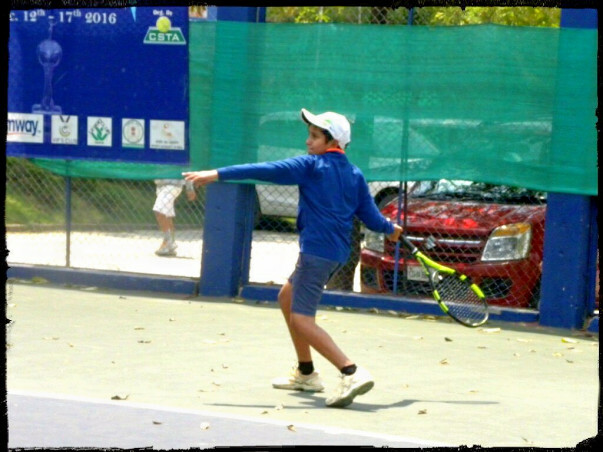 This promising youngster started playing tennis when he was four years old. His dad, Murtaza, built a 60*40 tennis court in their backyard to train him. Murtaza wanted to train his son in the sport, and if Mustafa picked it up, well and good. Murtaza has always been passionate about sports. In his generation, he says, sports was not encouraged as a career, but as a hobby. He played both cricket and tennis when young, and had tennis coaching when he was 15 years old. Unfortunately, that was too old to consider taking up the sport as a career option. Now he wants to give his son that option. 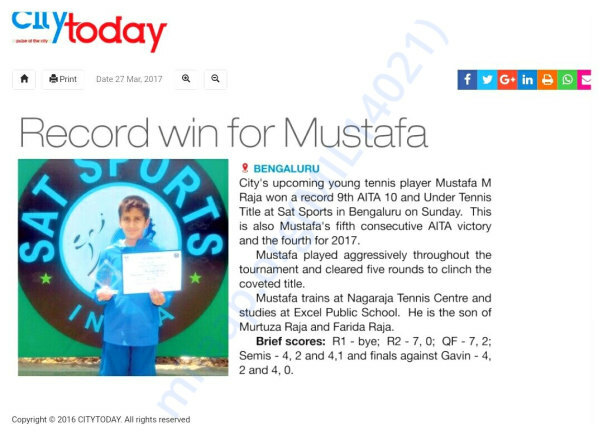 Mustafa took to the sport, and fast. 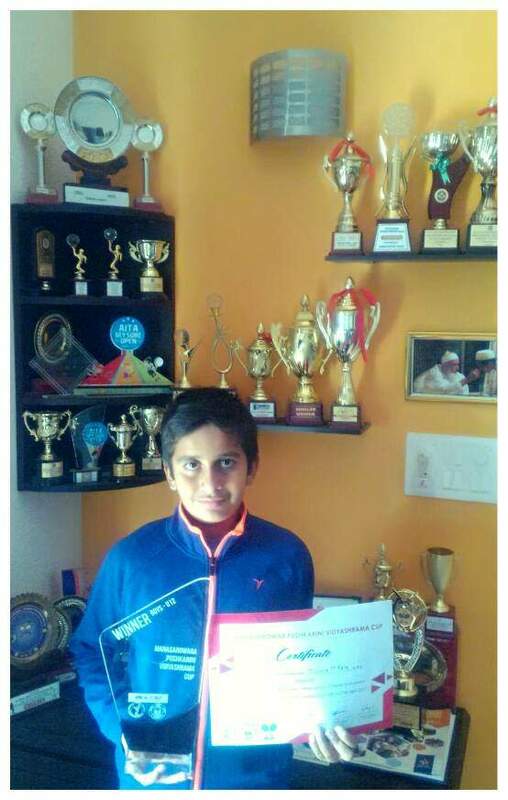 The ten year old started his fitness training when he was 7 years old, at the Nagaraj Training Center in Mysore. Murtaza tries his best to provide his son with a conducive environment. 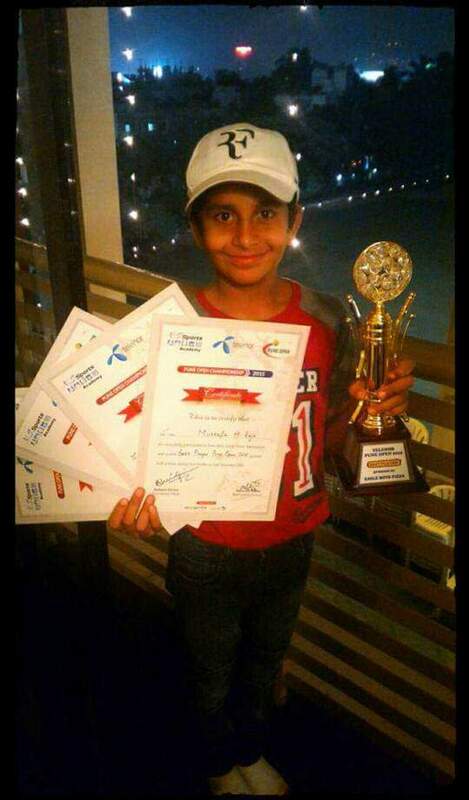 He accompanies Mustafa to all his tournaments and his coaching. Murtaza works in a hardware store- but has an understanding with his partner that he works only 5 hours a day- till 1 PM. After that, his time is spent taking Mustafa to coaching. Mustafa’s mother Farida works in a company, but has a 9-5 schedule. She accompanies Mustafa to tournaments, using her leaves to do so. She also monitors his academics, making sure that his tennis doesn’t affect his studies. As an athlete, Mustafa has a disciplined schedule. He wakes up in the morning at 5:30 AM, and has training, then attends school. In the afternoon, he leaves for practice at 2 PM, as his school gives him permission to leave an hour early. After practice, it is school work, until 9 PM, when he goes to sleep. His dad follows the same routine. Mustafa is a Nationally ranked player. 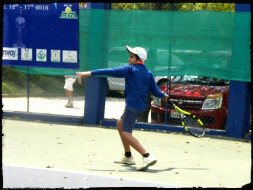 Now he competes only in national level AITA tournaments to -keep his skills sharp. 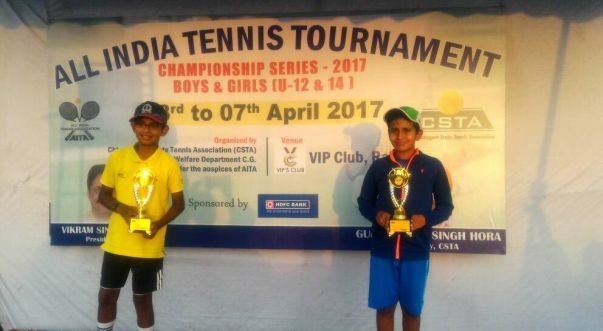 He is known as an up-and-coming player in Karnataka. 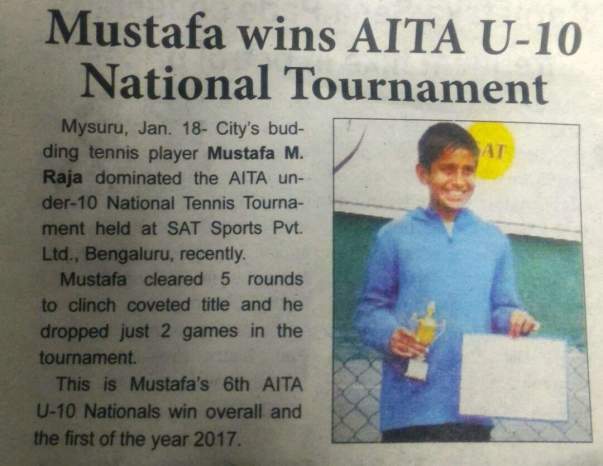 He already holds the record for highest AITA 10 and Under Nationals wins with 9 winner titles and 3 Runner Ups and many other Non AITA wins. Murtaza and Farida bear their son’s expenses, and training is expensive in India. His coaching alone costs more than Rs 7 lakhs a year. As of now, they are looking to fundraise for his training expenses- these they feel will really help in pushing Mustafa to the next level. Mustafa Tennis individual grand slam winner and olympic gold.